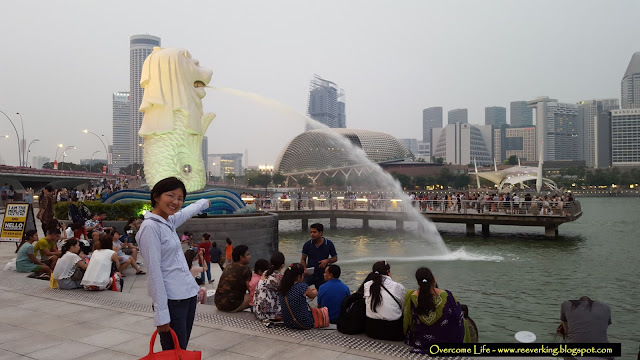 Take a photo with the Merlion (half fish, half lion), the iconic symbol of Singapore. 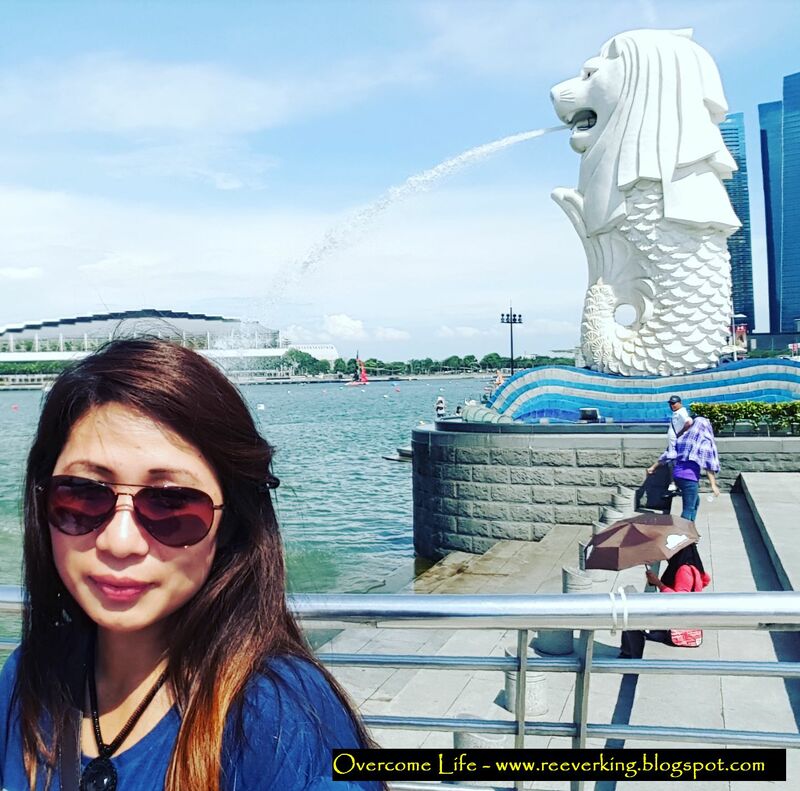 Its head represents the Singapore's original name - Singapura - which means lion city in Malay language. It was first built and placed at the mouth of Singapore River back in year 1972, and 30 years later, it was relocated 120 m away from where it was, to the opposite of the beautiful looking Fullerton Hotel (used to be a Singapore Post Office building), overlooking the Marina Bay area. 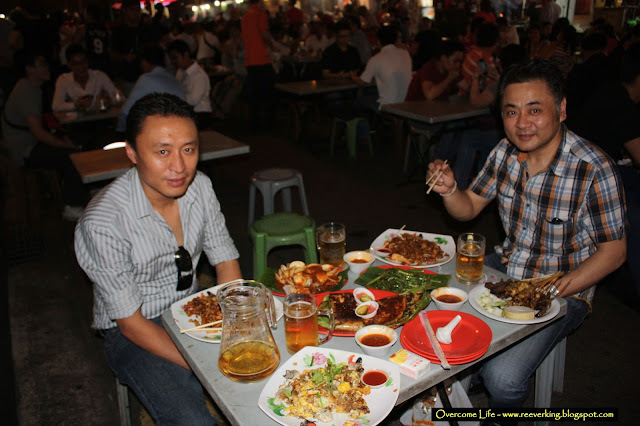 If you want, you can takeaway food from the nearby restaurants and have a picnic, sitting on the stone seat provided. Admire the bay view from there. You can also see many renown buildings such as Esplanade Theaters on the Bay, Art Science Museum, Marina Bay Sands, Fullerton Hotel, Singapore Central Business District (CBD), Singapore Flyer, and so on. 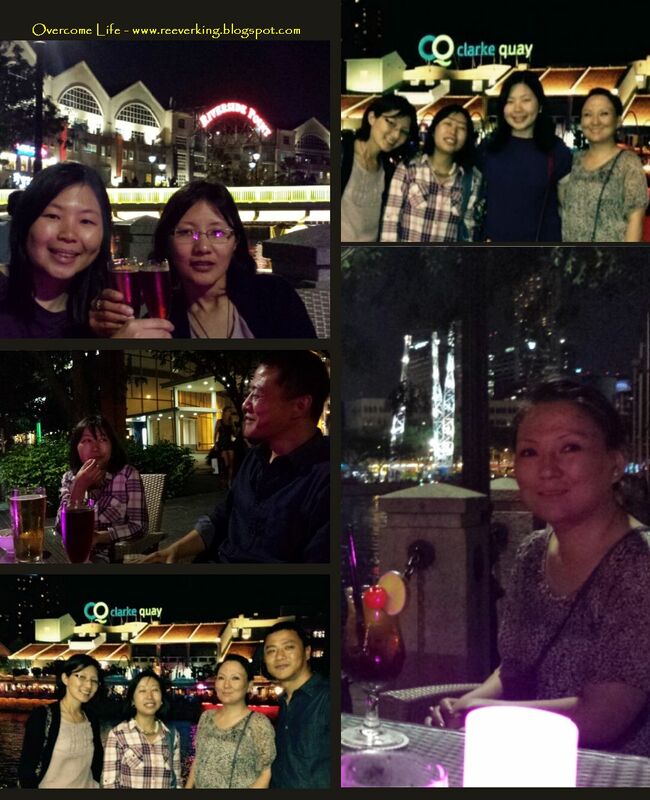 During the National Day (9th August every year), it is the perfect place to watch the fabulous fireworks. You can visit the place throughout the day but it is recommended to visit during evening time where the sun has slightly gone down and the weather has changed cooler. Sometimes afternoon heat can be unbearable!!! Night view is marvelous too!!! Eat, shop, pray, and experience different feel and culture in the heart of Singapore town. 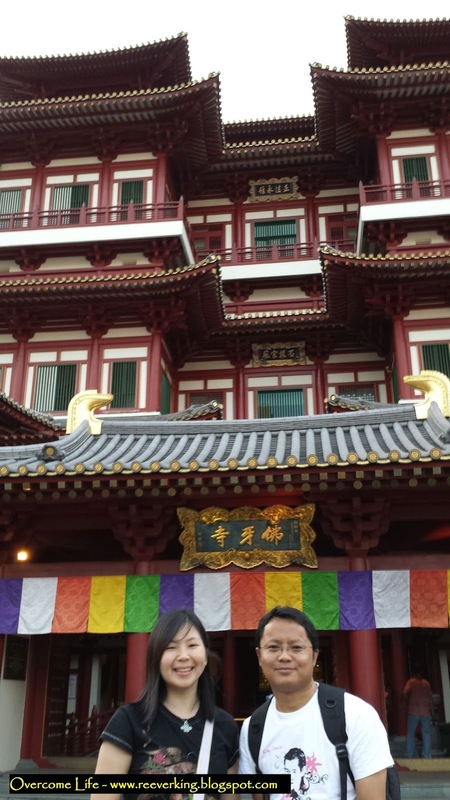 For Buddhist, you can visit the Buddha Tooth Relic Temple and Museum - a four-storey high completed with rooftop where the large Vairocana Buddha Prayer Wheel is located. 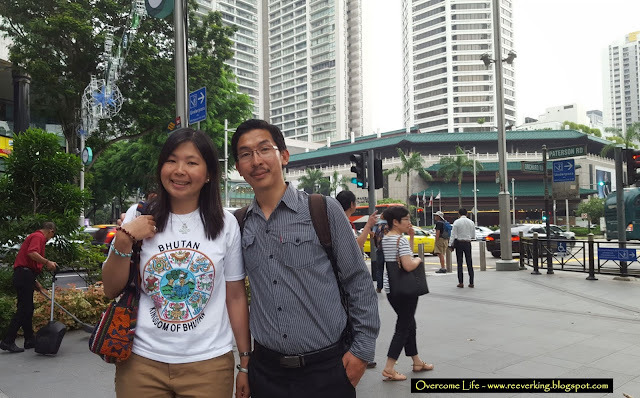 Must visit the forth storey where the gold sacred Buddha tooth relic stupa with the sacred Buddha tooth are located. Museum is on the third storey. Please take note that it opens from 7 am to 7 pm everyday and wear appropriate attire to enter. For Hindu believer, you can visit the Sri Mariamman Temple - the oldest Singapore's Hindu temple built in 1827. Currently the temple serves as an important focal point for community activities and acted as the Registry of Marriages for Hindus at the time when only the temple’s was authorized to solemnize Hindu marriages. 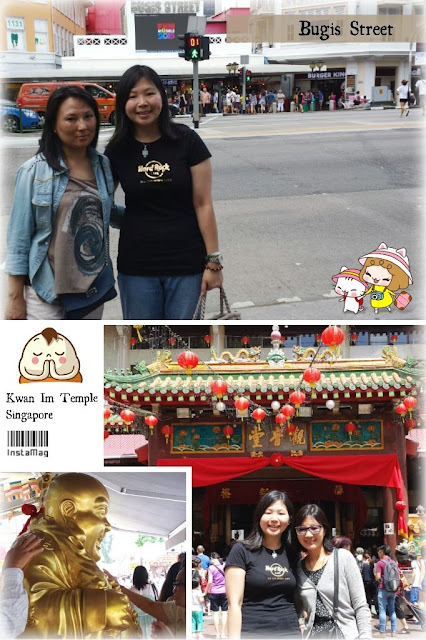 It is a great place to shop souvenirs from Singapore. There are many shops in the area. It is advisable not to immediately buy the items that you want. Instead, look around from one shop to another and find the best bargain!!! 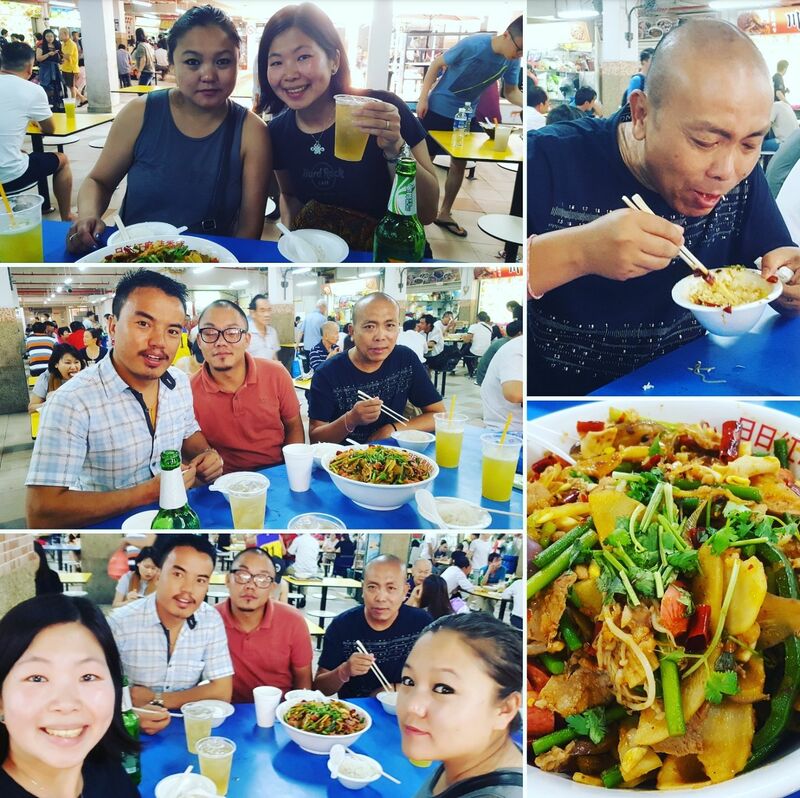 Overcome your hunger by visiting the Chinatown Complex hawker center (at 2nd storey). You will find various Singapore local food stalls there. 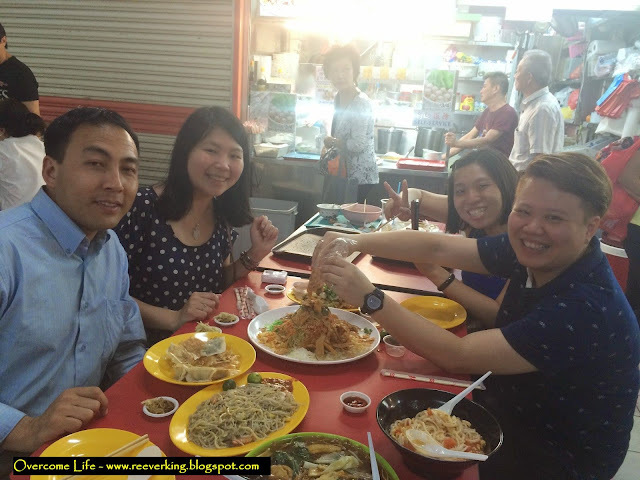 From kopi-O (black coffee) to Char Kway Teow (fried rice noodle with cockles), and special Lo-Hei - mixed pickles, vegetables, and sauces topped with salmon or abalone - a must eat food during Chinese New Year period. 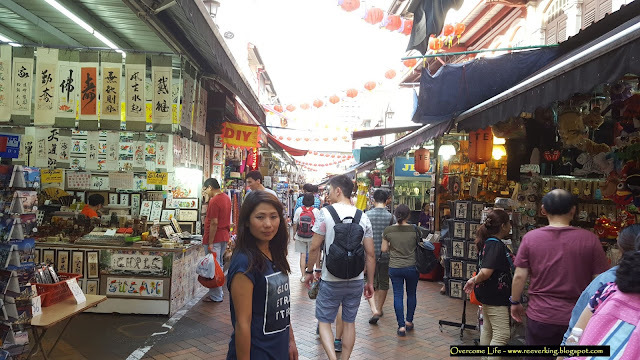 If you want to have a cooling place to shop, just walk to Chinatown Point. 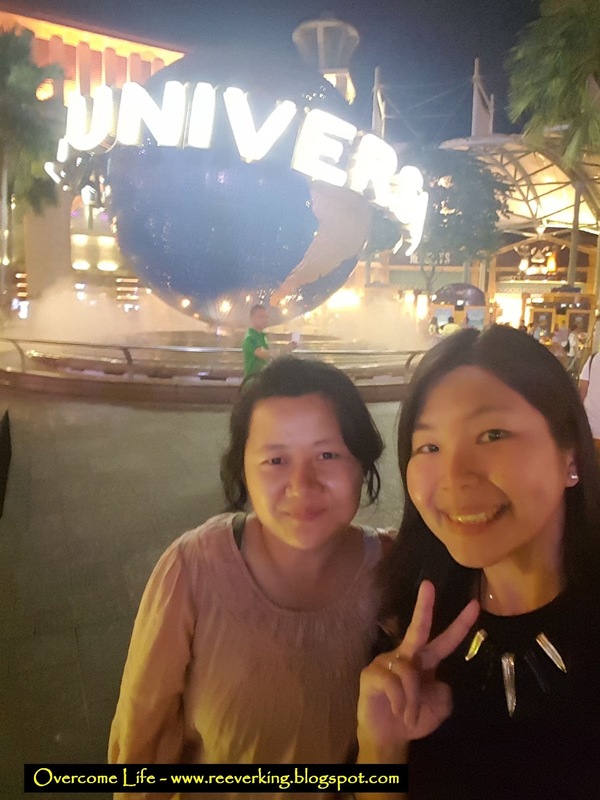 You can find Daiso, Uniqlo, NTUC FairPrice Supermarket, and many other shops inside. You can try the local Singapore food at Song Fa Bakuteh (peppery spicy pork rib soup) at the 1st storey there (next to McDonald's). It is open at anytime but recommended to visit at night as the air is cooler and lighting will add beautiful view. If you happen to come during Chinese New Year (January-February) or Lantern Festival (September), you will see beautiful decoration as shown at the above photo. 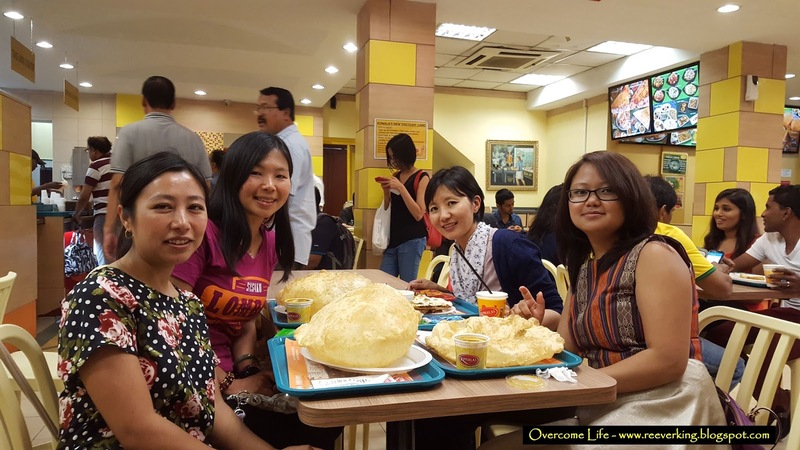 Bhutanese loves Mustafa Centre so much!!! Hahaha... as they love shopping. It is opened 24-hour so if you have something to buy but it has already been so late, you still come down by taxi to this place to shop. You can find almost everything here but I don't think they sell Uniqlo there hehehe... 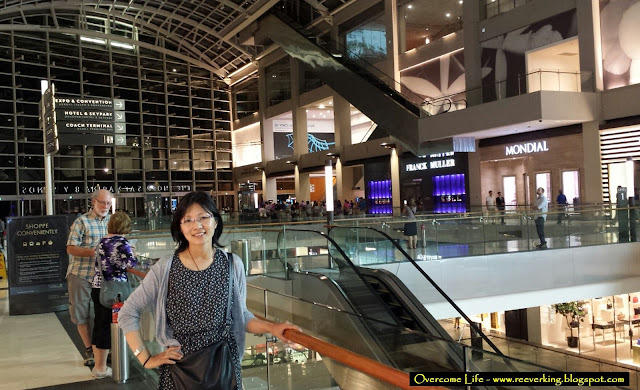 The nearest shopping mall from there that you can shop for Charles & Keith, Uniqlo, Daiso, etc. is City Square Mall. Just take MRT to Farrer Park and find the exit to the mall. Approaching Deepavali, the main road in this area will be decorated with many lighting and Diwali decorations. Visit at night to capture its beautiful lighting. 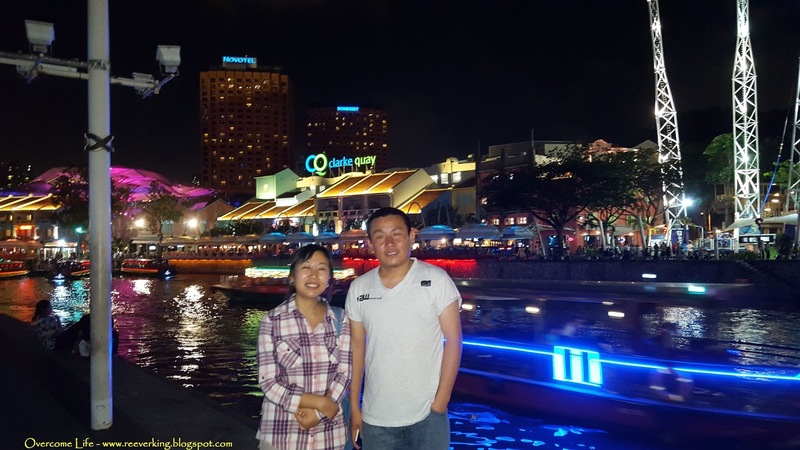 If you want to know how Singapore nightlife feels like, you can get down to Clarke Quay and chill yourself up at a pub, restaurant, bar, or even disco. Just order a bottle of beer or a glass of wine to chill up and listen the noise and crowd the places bring. Or else, just sit down at the riverside watching people flying out with their bungee at the opposite site or the passing by boats filled with tourists. On weekend sometimes juggler or entertainer will pop up and give a show to earn some money. It was a good place to relax and enjoy the cool night breeze. 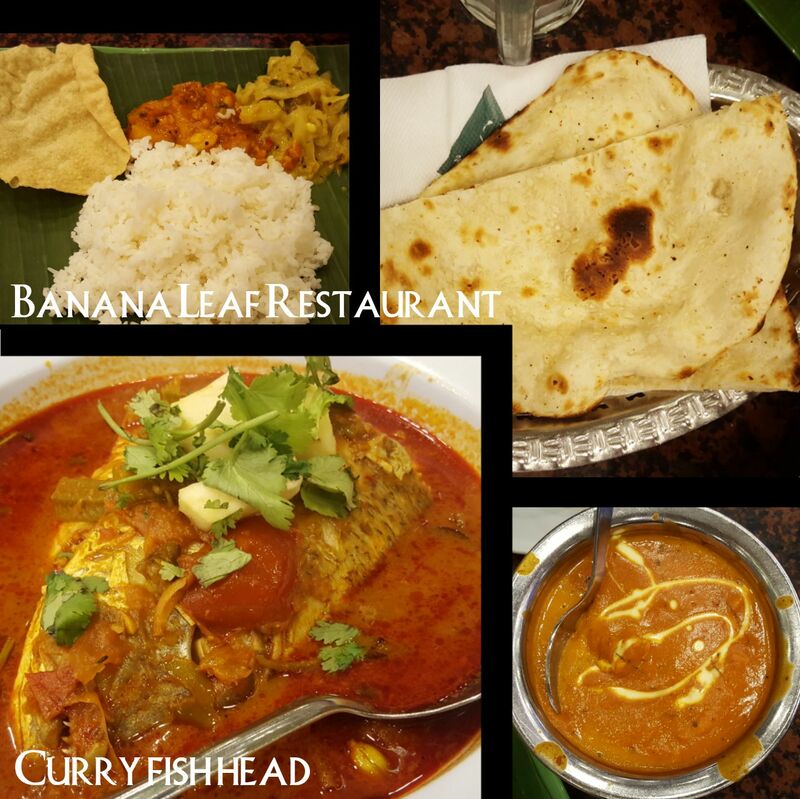 It is within a walking distance from Chinatown area. 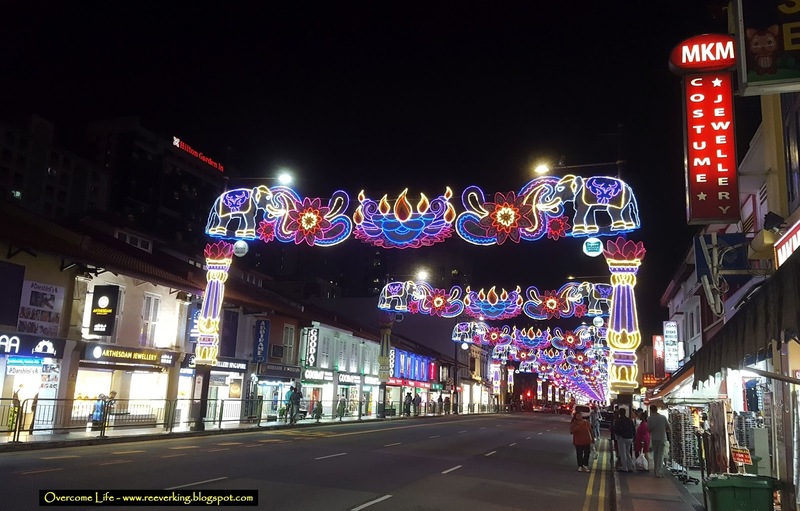 If you happen to have enough time to spend after having enough shopping or feeling full from your dinner at Chinatown area, you can just walk along the main New Bridge Rd all the way until you see the beautiful lighting near the bridge. 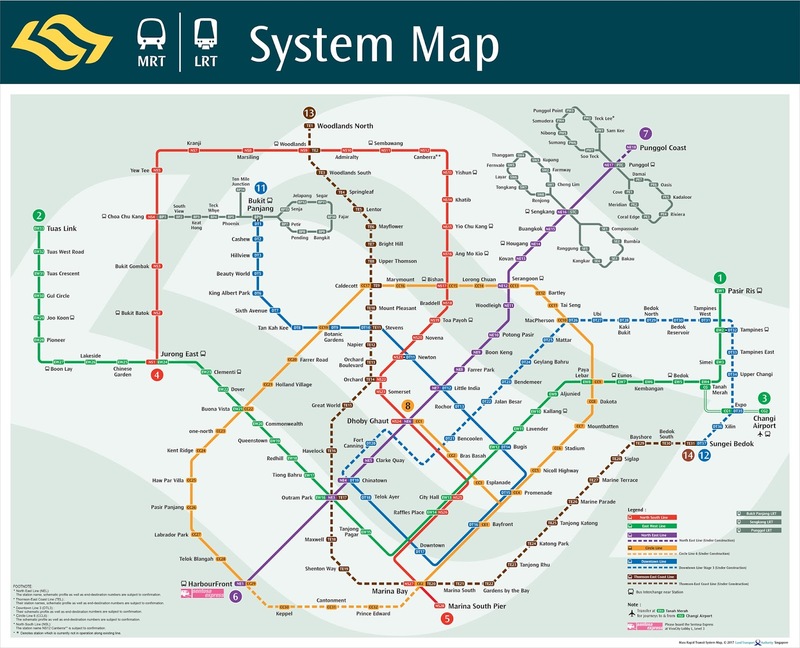 Or if you are too tired, Clarke Quay MRT is only one station away from the Chinatown MRT (NEL). 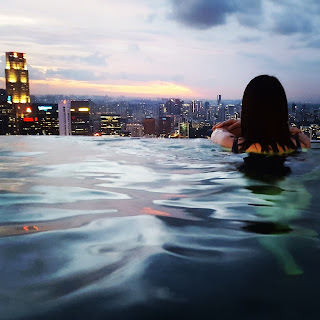 If you take flight to Singapore and sit at the window seat (left side), sometimes you can see the unique feature building - Marina Bay Sands - the three sloping towers with boat-like structures - from the above. 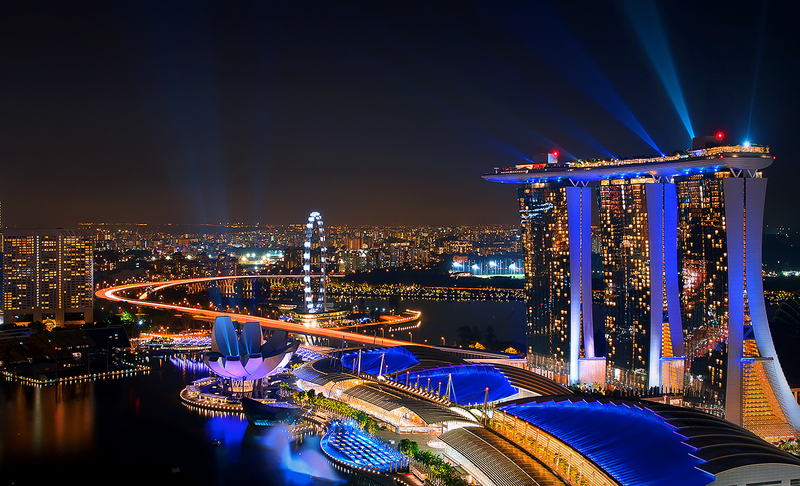 It faces Singapore river with many tall buildings at the surrounding. It contains hotel, restaurants, theater, exhibition halls, shopping mall, Casino, etc. 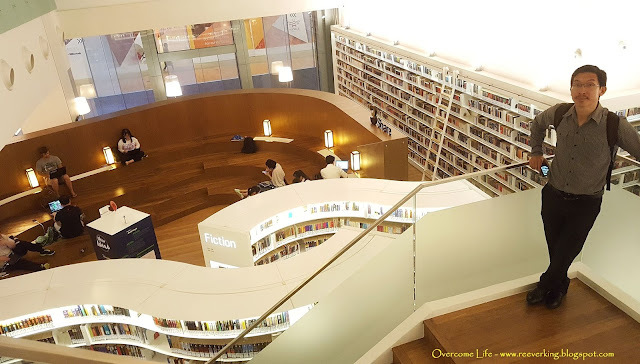 If you curious how it looks like from the inside, you can easily reach there by MRT. If you are lucky enough to stay at the hotel itself, you should take the opportunity to swim at the infinity pool at level 57 (they only allow the hotel guest to swim there) and watch the beautiful Singapore view from the above. Evening time is the best time to do. Take a lot of picture there as the view is priceless!!! 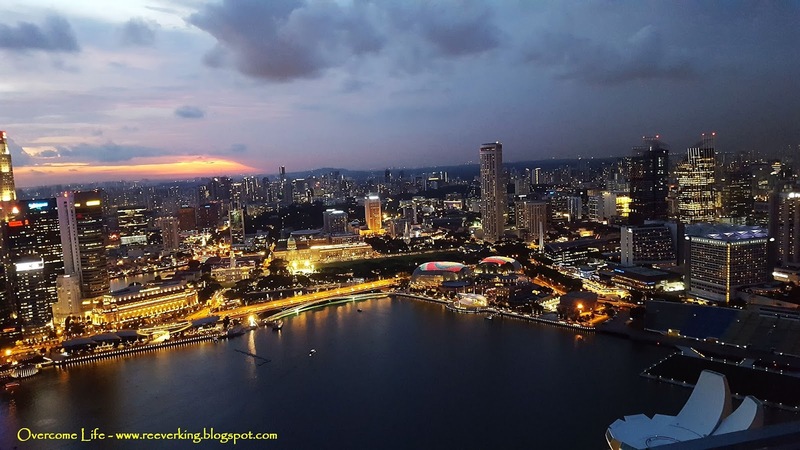 Well otherwise, you can also go up to their Observation Deck and pay SGD $23 per pax to see the Singapore view from top or dine and/ or drink at the SkyPark restaurants and bars. MBS building. 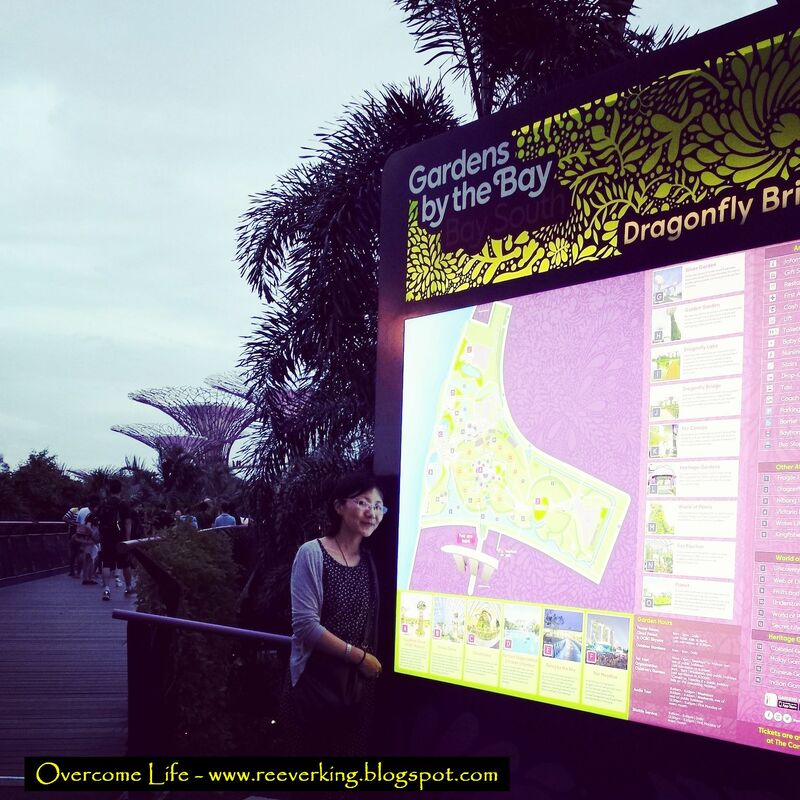 Usually I go there during night time when they have a free Garden Rhapsody light and sound shows (at 7.45 pm and 8.45 pm daily). Lying on the grass and watching it give a relaxed feeling after a whole day out. 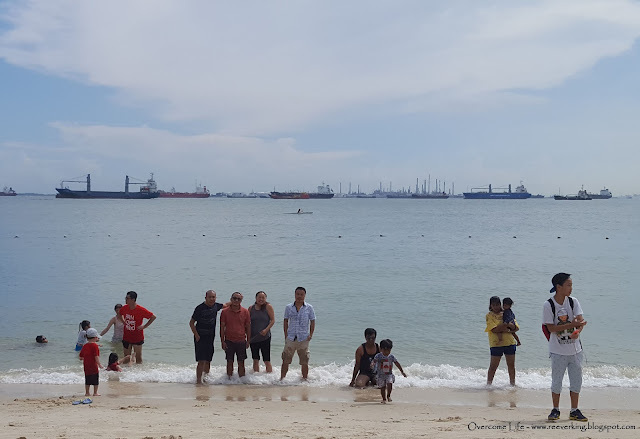 Many Bhutanese who visited Singapore had not been to the beach before. 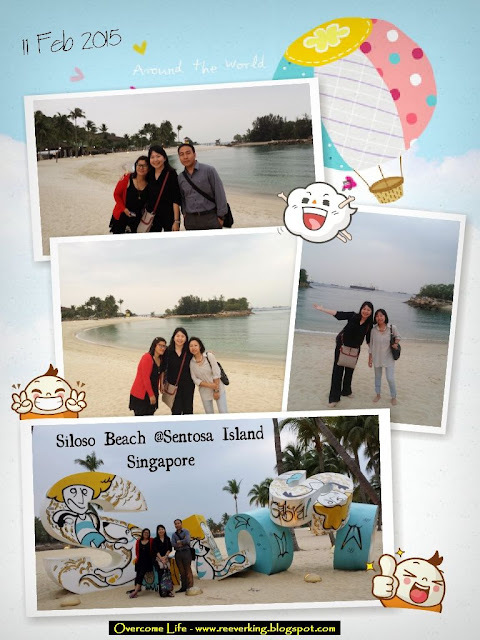 If that is the case, Sentosa Island will be the next place to visit. 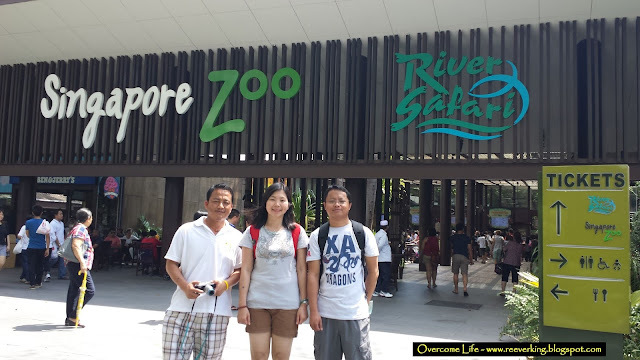 From Vivo City, go up to level 3 and take the Sentosa Express (monorail) using the EZ-link card cost at SGD $4. Get down at the last station - Beach Station - and walk or take the beach tram to the destination of your choice. They have many different beach to visit. Siloso Beach is nearer and more crowded so I usually bring the Bhutanese towards that direction. You can also take other transport like bus and cable car. I always recommend them to remove their footwear and roll their pants up. It feels good to walk barefoot on the sand and feel the cold/ warm sea water splashing on your legs. The weather can be super hot in afternoon time, so wearing cap and sunglasses may help. From there, we move on and walk to see the other parts of Sentosa Island. Such as the Imbiah Lookout to see a big version of Merlion, entrance to Universal Studio (if you have time, you can spend a whole day playing the ride inside), Casino (foreigner needs to bring their passport to enter and there is dress code to apply - no short, flip flop, and singlet), and so on. 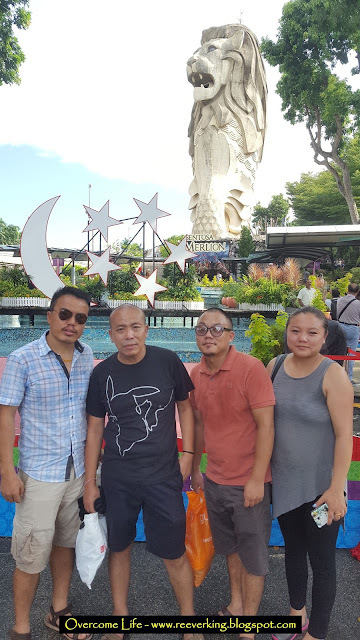 If you come with kids, you can bring them to SEA Aquarium to watch the underwater world, to Adventure Cove Waterpark to experience different water rides, to Kidzania for kids to experience role play of the adults' world, etc. Check out their website for further details. 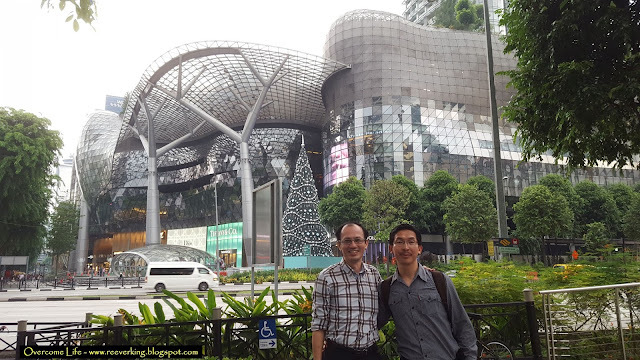 Orchard Road - a 2.2 km long boulevard - the retail and entertainment hub of Singapore city, a favorite place for tourists and shoppers. 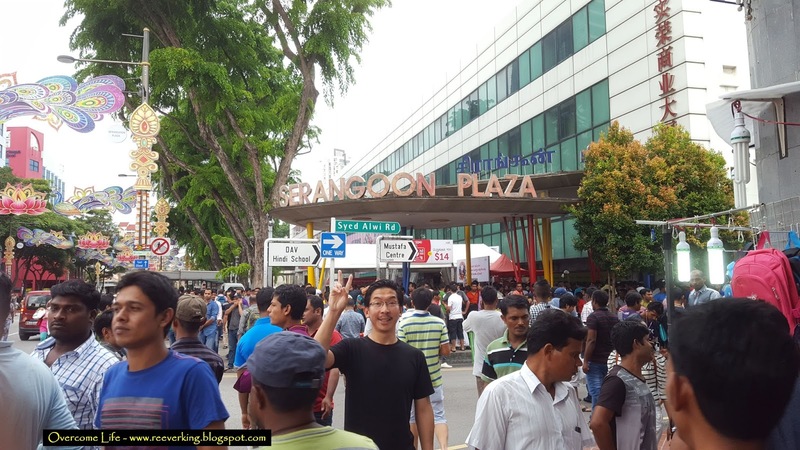 You can reach this road from both Orchard and Somerset MRT. Walk along the row of shopping malls from Wheelock Place, Ion Orchard Mall, Wisma Atria, Ngee Ann City, Takashimaya Department Store, Cineleisure, all the way to 313@Somerset and Orchard Central. You can find almost any branded stuffs that you are looking for, taste any kind of food from many restaurants, and so on. Just make sure you have enough money to spare to go back to Bhutan ^^"
Approaching Christmas, this road will be decorated with Christmas decoration and lighting. 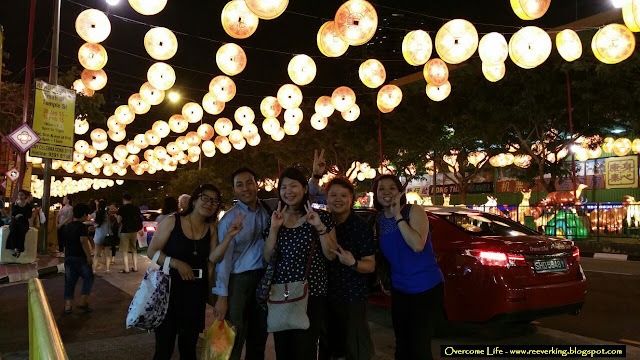 Visit at night is recommended for you to capture beautiful photos together with many outdoor Christmas trees and decorations. 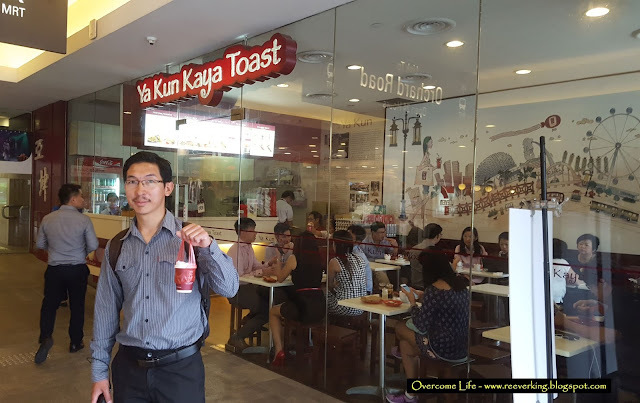 When you are too tired to walk, take a coffee break at the Singapore local coffee joint - Ya Kun Kaya Toast. It's my favorite!! Order the Kaya Butter Toast set where you can get the crispy toast with chunk of butter and coconut jam, 2 pcs of half-boiled eggs, and a cup of Singapore style Kopi (coffee w/ milk) or Kopi-O (black coffee with sugar). 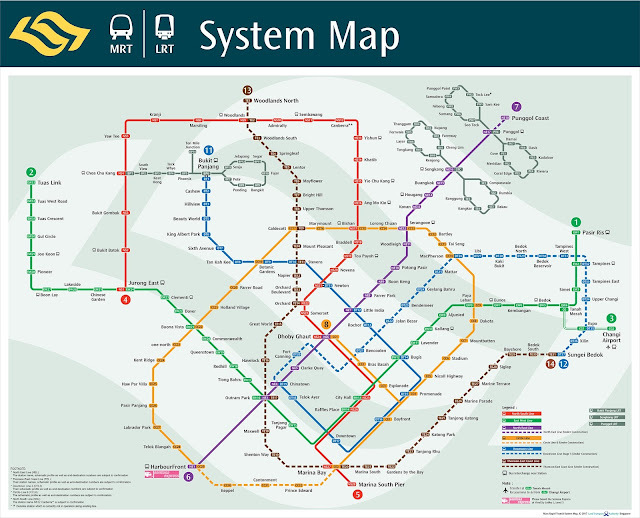 If you notice, I put the map of each location as most tourist places in Singapore is near from MRT (Mass Rapid Transit) station. It is advisable for you to go around Singapore using MRT as it is fast, easy (you need to purchase EZ-link card though - can use it to take bus as well), and convenient. EZ-link card can be purchased at Passenger Service Center at MRT station and any 7-eleven convenient store across Singapore. Singapore is such a small country. You won't get lost there. You can get free WiFi at many designated areas (including MRT stations) and conveniently browse the Google and Google map website or download its Apps to locate where you are and places you are looking for. 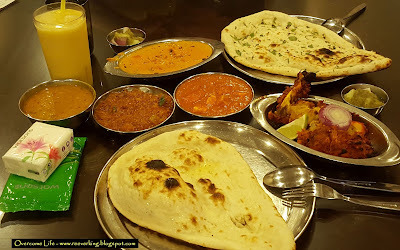 There are many other areas and places I did not mention above like Bugis, City Hall, Singapore Zoo, River Safari, Night Safari, Jurong Bird Park, museums, Lau Pa Sat (alfresco dining at CBD area), and many more. It is up to you to visit the rest of the places and also depend on where you stay in Singapore (which places are nearer from your side). Those I mentioned was where I brought most Bhutanese in Singapore from their previous visits. You should consider to take Singapore Local guide course at STB to be Local guide! Wow... so many beautiful place to visit, that's like a touring everyine. Thanks for sharing charo. Will take steps if happens to visit.